Dec. 3 at 5 p.m.: Fun for all at Charger Challenge: Holiday Lights - Hamilton School District. 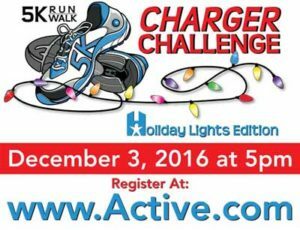 Sign up now for Charger Challenge: Holiday Lights, an event that benefits the Hamilton Education Foundation. 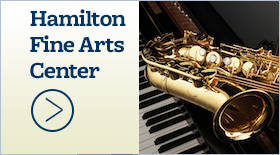 The event will begin at 5 p.m. on Saturday, Dec. 3 on the grounds of Hamilton High School. With a new later start time, families will enjoy beautiful holiday lights and exciting stations like Mistletoe Mile, Gingerbread House and Candy Cane Lane along the run. Back by popular demand is the one-mile Buddy Run for younger kids who will be escorted by a Hamilton High School student so that their parents can enjoy the 5K run. After the race, the fun continues in the Hamilton Athletic Center with reindeer games, a visit from Santa and Mrs. Claus, cookies and showing of the movie “Elf.” Adults will be able to get a jump on holiday shopping and purchase gifts and food items. Coffee, hot chocolate and Chick-fil-A refreshments will be offered. Vendors will offer Rodan and Fields Skin Care; infinity scarves; Grace and Heart Jewelry; Thirty One Bags; Exceptional Inc. greeting cards; glass and ceramic ornaments and art gifts; Lula Roe leggings, skirts, shirts and dresses; Hamilton spirit wear, hats, sweatshirts, hoodies, lanyards and window clings and Pure Haven products for the home and personal care. 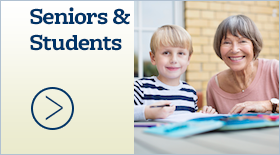 The Hamilton Education Foundation also will have a booth. Charger Challenge: Holiday Lights is open to all athletic abilities, and families are welcome. To register online, please go to www.active.com and enter “Charger Challenge” in the search box. Fees are $30 for the 5K run and $20 for the one-mile Buddy Run for children. Paid participants who register by Nov. 18 will receive a black cotton, long-sleeved glow-in-the-dark T-shirt. Onsite registration is available but T-shirts are not guaranteed. Charger Challenge: Holiday Lights is one of only two major HEF fundraisers this year. 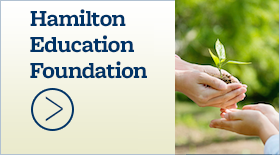 Established in 1991 by friends of the Hamilton school community, the Foundation and its supporters generate funding and other resources to enhance, extend and enrich the educational opportunities of Hamilton School District students. 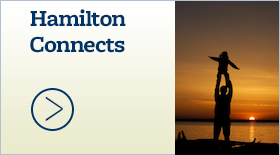 It is governed by a volunteer Board of Trustees and operates independently from the Hamilton School Board.